Updated at 7:39 p.m. on Wednesday, Nov. 7, 2018, to correct name of Hutton Company. 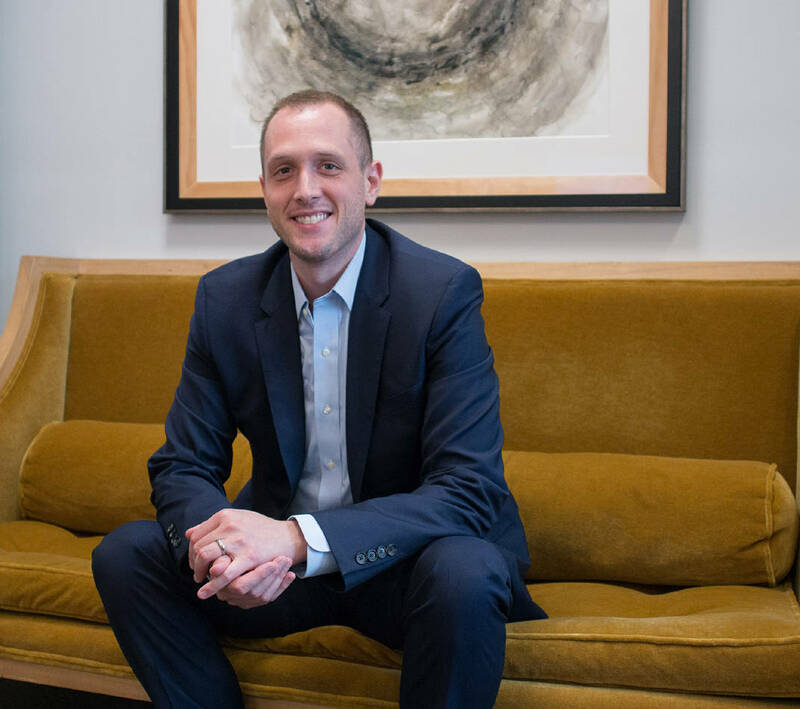 By the age of 33, Matt Partridge already had the experience of helping three real estate firms grow to multi-billion-dollar enterprises in and around Washington D.C., Cincinnati and Detroit. At Phillips Edison & Company in Cincinnati, Partridge began his carer in commercial restate as an analyst to help launch a non-traded real estate investment trust (REIT) which has grown to a portfolio of $6 billion of property. After earning his MBA at Xavier University at age of 25 , the young finance graduate took on a key finance role in Washington D.C. at Pebblebrook Hotel Trust which he helped grow to include a property portfolio worth $4.5 billion. In January 2016, Partridge then joined Agree Realty Corporation near Detroit, close to where he grew up in Saline, Michigan, and helped the company more than double in size through property acquisitions. One potential acquisition target first brought Chattanooga to Partridge's attention when Agree was talking to Karen Hutton at one of Chattanooga's biggest construction firms about a potential acquisition. Such a deal never got very far, but Partridge was impressed with the company and Karen Hutton's leadership. Staff: 160 employees, including 90 in the Cherry Street headquarters and another 70 at Hutton Construction. After meeting with Hutton, who has built her Chattanooga-based construction and development firm into one of city's biggest over the past 24 years, Partridge agreed to come to Chattanooga last year to discuss joining Hutton. Initially, Partridge says his normally easy going wife wasn't enamored with moving to Tennessee. "But after we came down, met Karen and the team here at Hutton and saw Chattanooga, my wife was quickly on board with it," Partridge says. "We love Chattanooga." A year after joining Hutton Company Inc., as the company's chief financial officer, Partridge was promoted this summer to chief operating officer for Hutton as the growing firm adapts to new funding options and changing retail patterns of development. Partridge helped focus the company's fiscal, strategic, and operational leadership and helped handle the biggest property sale ever by Hutton — a $185.8 million portfolio sale composed of 59 properties in 14 states. Hutton praised Partridge's financial acumen and promoted him to chief operating office to improve overall business operations. "What some of you may not see is his management style; he outlines expectations and accountability with each individual so there is little room to miss your shot," she said. "The world of retail has changed, but I think we're well positioned for those changes, " Partridge says. "The intent is to put ourselves in a position to take advantage of opportunities in the market but also to grow and service the clients we have."